to get yourself off the streets. Start now. At times, photographer Derek Slevin pushed the envelope by being in places where he was not welcomed. Being threatened, but also tenderly hugged, kissed and told what an amazing difference he made in his homeless subjects’ lives. Through respect and trust relationships were established and even amazing friendships created. He saw individuals; a unique look, a personality, and a life story etched on their faces. With this exhibition, his hope is to shine a spotlight on the homeless so they will not be forgotten; not be lost, no longer be invisible. These new books about homelessness provide us as readers some idea of the multi-layered reasons for homelessness. The situation would be otherwise incomprehensible to someone raised in the “normal” world. Nice places exist inside us and sometimes you have to make your own dreams of “nice” a reality. Take me somewhere free of judgement. Free of ridicule and eyes that stare. From the world I now know. Plenty to read on this blog. Hope he enjoys it! T.J.
Before anyone of means starts abusing homeless people (which seems to be a societal trend right now) I would hope that they would take the time to consider how much their existence depends on the grace of God. Anyone who thinks they are protected from harm or want because of money, power or influence is deceiving themselves. One illness, like cancer can rock anyone’s whole world. One flood or fire can devastate the comfort that the person has become accustomed to and leave a person with no belongings. Some of us are one paycheck away from poverty, others would require a natural disaster, medical emergency, or financial crisis to get there… but it can and does happen. Remember, you are in the hands of God. The air that you breathe, the water that you drink and the food that you eat, these are gifts from God. Every movement of your body and thought in your mind is a gift, a blessing. Be thankful of these things, because even though you work and are a responsible, there is so much that is given to all of humanity for free. You, I and everyone and thing could not exist without these gifts. They show us the love of God for his creation, even though we can never deserve any that is given. Have the same generosity toward others in this life. To be sparing and cruel scars your soul. For those of you who have read my thoughts at the Coffee Bar before, you know my thoughts on homelessness. 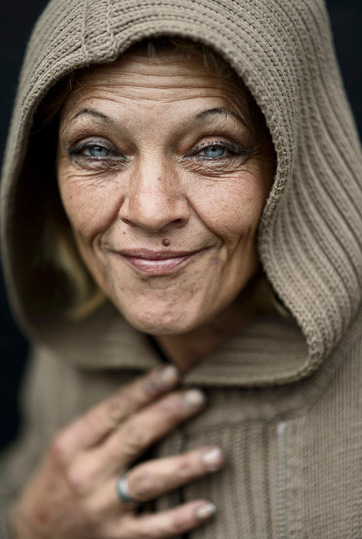 For anyone who is interested in a more in depth report on the status of those among us who struggle every day to find safe and secure shelter, the National Alliance to End Homelessness published its State of Homelessness report for 2014. Discussing trends in homelessness from 2011 through 2013, the report is a must read for policy makers and anyone seeking to understand this critical social issue. To aid in the discussion, I have included a link to the report here. I encourage anyone who downloads and reads the report to use the comments section to post observations and thoughts to begin a conversation.